On the corner of American Street and Joy Road, Fabiola Toussaint thought she would finally find une belle vie—the good life. 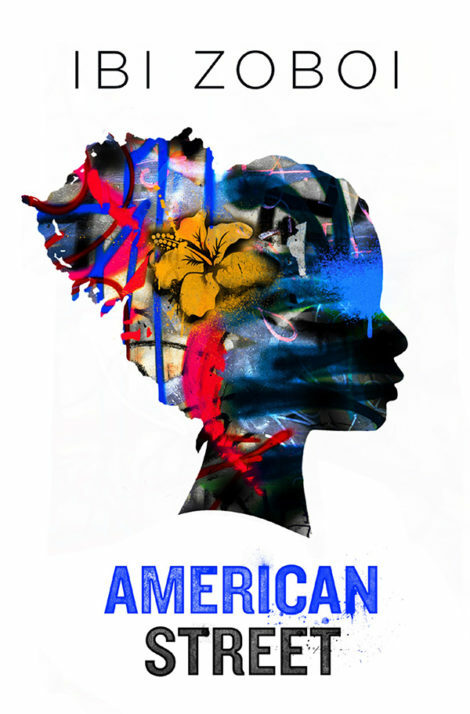 But after leaving Port au Prince, Haiti, Fabiola’s mother is detained by U.S. immigration, leaving Fabiola to navigate her loud, American cousins—Chantal, Donna and Princess—the grittiness of Detroit’s Westside, a new school, and a surprising romance, all on her own. Just as she finds her footing in this strange new world, a dangerous proposition presents itself, and Fabiola must learn that freedom comes at a cost. Trapped at the crossroads of an impossible choice, will she pay the price for the American dream? Ibi Zoboi is a Pushcart-nominated author who was born in Port-au-Prince, Haiti. She now lives in Brooklyn with her husband, and their three young children. 1. How does the author use Creole and American slang throughout the book? What does the use of either or both languages suggest about the characters in the novel? 2. What are some of the similarities between Detroit, Michigan and Port-au-Prince, Haiti? How do they differ? 3. How do you think Fabiola changes over the course of the novel? What were some of the events that facilitated those changes? 4. How would you describe the Three Bees? Which one of their characters would you most identify with and why? 5. What does Fabiola mean when she says “Now I don’t look so … Haitian. So immigrant.” How would the Three Bees interpret those words? What are some examples of when Fabiola feels like she isn’t only Haitian but she’s not fully Americanized either? 6. How did you feel about Kasim when you first met him? Did you trust him? What about Dray? How were Kasim and Dray the same? How were they different? 7. Describe the different forms of fighting that take place throughout the novel. What are the various reasons that the characters are involved in fighting? Do you think they have a choice about if they would want to fight or back down? Why or why not? 8. Describe what happens at the party in Gross Pointe Park. How would you react in that situation? Would you have trusted Detective Stevens? Why or why not? 9. Magical realism combines realistic narrative and naturalistic technique with surreal elements of dream or fantasy. How does this enhance Fabiola’s spirituality throughout the book?